Cyanide Studio had a very busy showing at E3 2017, showing off at least three games. We were able to take a few moments to sit in on a behind-closed-doors demo of Call of Cthulhu: The Official Video Game. Our preview is ready for you to read, provided you don’t go mad first. Call of Cthulhu: The Official Video Game is, well, the official video game of the popular pen-and-paper RPG by Chaosium. It’s the 1920s, and you play as Edward Pierce, a former war veteran and private investigator. You’ve been tasked with figuring out what happened to one Sarah Hawkins, who died in mysterious circumstances in her mansion on Darkwater Island. It doesn’t take very long in the demo to see that something eerie is going on. The environment outside the mansion has creepy, overgrown brush, an old stone cemetery – all the usual makings of an old, abandoned mansion. Once on-site, Edward creeps around, with seemingly no one in the area. As he approaches a side door, he is suddenly shoved aside by the groundskeeper, an axe-wielding old man who doesn’t look like he takes kindly to trespassers. Here, we see branching dialog options, including some that were unlocked only because the player took the time earlier to learn about the environment by looking more closely at the graveyard – noticing that freshly-picked flowers were placed on the owner’s grave, for instance, allowed Edward to deduce that the groundskeeper cared for the owner when they were alive. Eventually, by combining wit with empathy, the groundskeeper is won over, and simply gives the player a key to the mansion. So, instead of sleuthing around to find an alternative path in, Edward can now simply walk on in. Our demo forwarded a couple of chapters, to when Edward is deep in the mansion, and starting to piece together a few things. He finds himself in a showcase room, which has a bunch of weapons of different kinds – mostly knives, of different ornate designs. While looking at a few different weapons, any semblance of peace or security that Edward had is abruptly interrupted by some sort of creature that crawls out of a painting. Edward must now frantically find a place to hide from the creature. He finds a nearby closet, but there is one major problem: Edward suffers from claustrophobia. So, the longer he stays in this confined place, the more likely he will freak out and expose his position. Thankfully, the monster gets far enough away that Edward can make a mad dash back to where the weapons were. He picks a weapon at random, and begins to stab the painting where the monster came from. His efforts are futile, however, and the monster kills Edward. The point of this sequence was to show us that without the proper information, you may find it difficult to proceed. Edward can gain skills in three main branches: social, knowledge, and profession. These skill tiers help you to put together clues as you solve mysteries, such as noticing inconsistencies in a police report for the mansion owner’s death. Although Edward can gain skills, he can also “gain” something detrimental to his progress: phobias. If you find yourself in terrifying situations for too long, he will develop fears that may hinder your progress. While these weren’t elaborated on during our demo, the prospect that repeated exposure to the same danger can cause long-lasting effects is a very interesting one, and something that isn’t explored much in psychological thriller games. 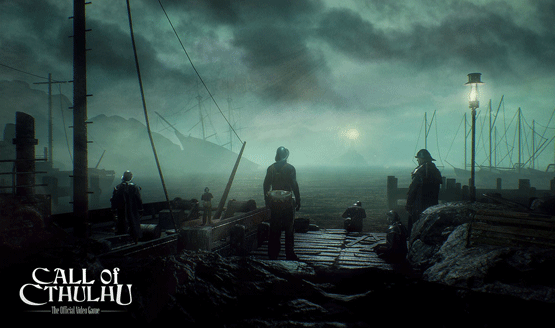 Call of Cthulhu is being developed in the Unreal Engine 4, and did not disappoint in bringing the dark and dreary world of Chaosium’s Lovecraft-inspired to life. While we only got a taste of the mansion, it certainly fit the horror theme, with twisting corridors in a labyrinth-like layout that you are at constant risk of getting lost in. Since the game is in first-person, hazards are up-close and in your face, and you never know what danger lurks around the next corner. 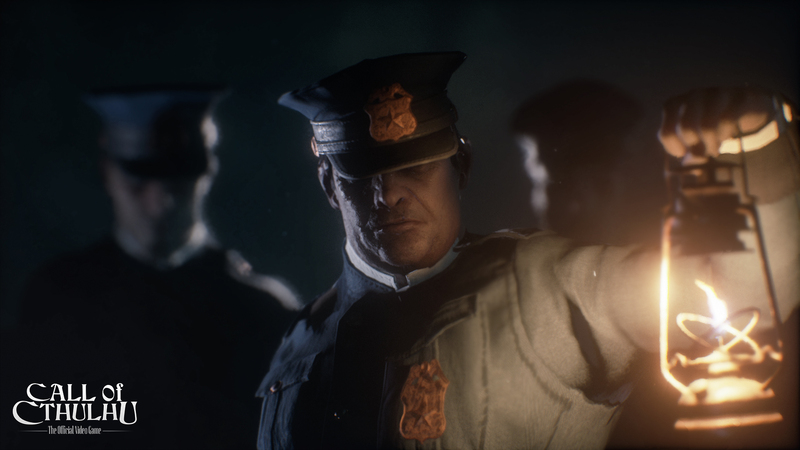 Call of Cthulhu: The Official Video Game is a psychological first-person game with a ton of potential. Featuring intense ambiance, puzzles to figure out as you try to stay alive, and the possibility of developing phobias, it seems the first-person psychological thriller genre still has room for fresh ideas. While taking inspiration from games such as Amnesia and Alien: Isolation, the Lovecraftian lore that the world of Cthulhu provides means that this game ekes out an identity all of its own. We will keep you updated with the game as it nears its Q4 2017 release on PlayStation 4, Xbox One and PC.